the lentils are tender – about 45 minutes. 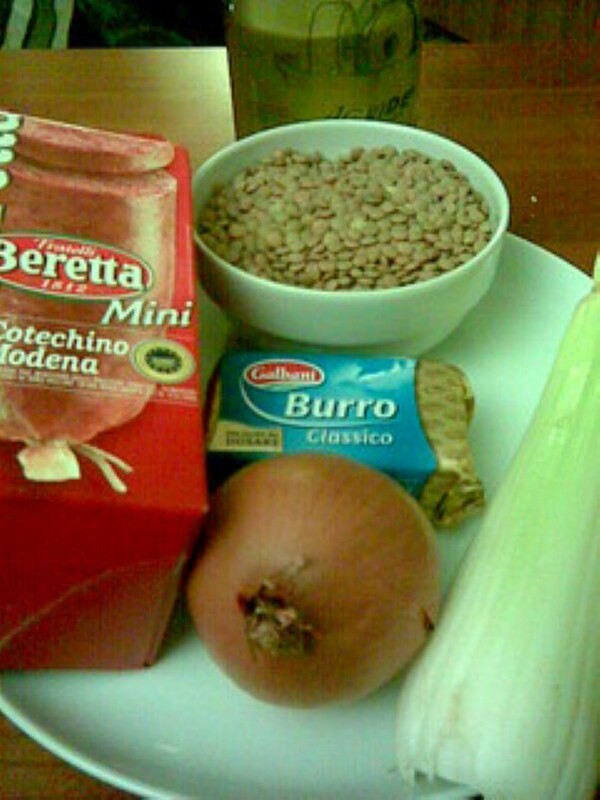 If using a precooked cotechino, reheat according to the instructions on the packet. If you are using a fresh one, place it in a saucepan, cover with plenty of cold water, bring to a simmer and cook gently for 2 hours for a small (600g) one, up to 4 hours for a larger (1000g) one. At the end of the cooking time, remove from the heat and allow to rest in the cooking liquid for 10 minutes, drain and slice into thick rounds. 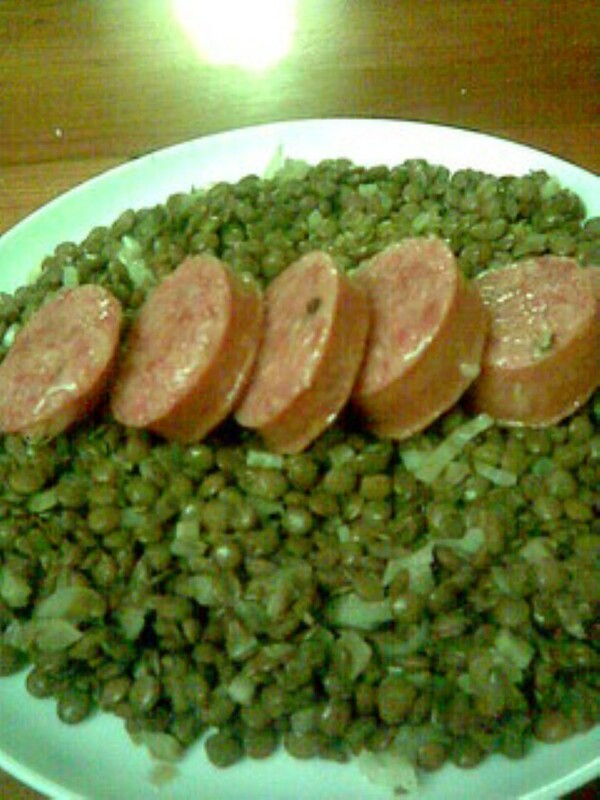 Serve the lentils with slices of the sausage on top. This meal looks very czech. Are you sure you didn’t pick it up in Liberec? Oh, just to let you know, you are now an author on my blog! I added you to my list! Well, on my blog I like to write about Music, Food, and IT. But mainly Food! And I was looking through your blog and I thought that you could put some of your recipes onto my blog. Maybe. What is it about? Could you post a link? Would you be interested in becoming a contributor to my blog? Thanks very much. I hope you find somthing to try. None of the recipes are difficult. I love lentils! This meal looks very tasty! And I’ve been looking at some of your other recipes. They all look fantastic!